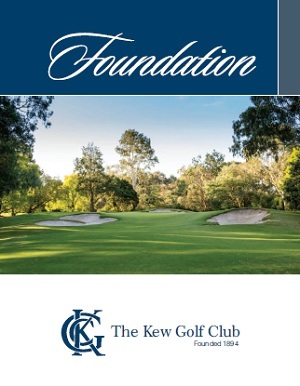 The Kew Golf Club Foundation has been established to allow members of The Kew Golf Club an opportunity to make a contribution to grow a permanent fund to be used for both the development of the Club and specific infrastructure projects. Any other one off projects. A gift directly to the Foundation (See accompanying form A). A donation (tax deductible) to the Australian Sports Foundation (ASF) in support of The Course Beautification Project, initially envisaged to include a stone bridge over the billabong on the fourth hole or for general purposes (See the accompanying form B). A bequest to The Kew Golf Club Foundation (See accompanying forms C & D). It is expected that contributions will be acknowledged in the future.